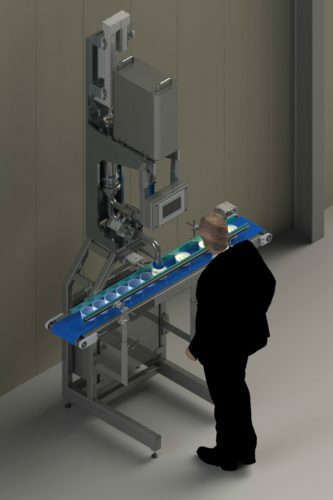 Our renewed dosing machine can dose different liquids. 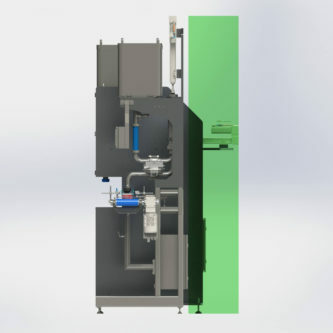 The machine is particularly suitable to dose dairy produce, salads, sauces and such products. Our machine is usable by dairy companies, butchers, bakeries and much more companies. Do you have any questions about the dosing machine? Or do you think that it might be a solution for your situation? Please contact us! Please come to our demonstration from 13 to 24 November! Or our open day on November 17th. There are no void spaces in the improved pump house. This means that everywhere the product comes, the flow is thus regulated that the product will be refreshed every cycle. Up to the outer corner of the cylinder. Every part where the product comes is easily demountable with a hook wrench. A longer lifespan is feasible by the improved piston. This is due to decreased friction. This ensures higher dosing speeds too. Thereby your personnel can be used more efficiently! 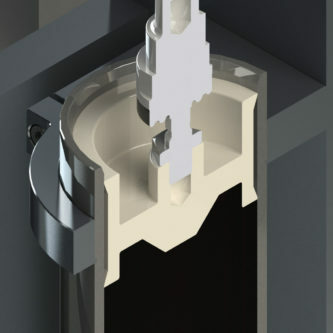 The piston can be cleaned very good because it can be retracted during the cleaning program. 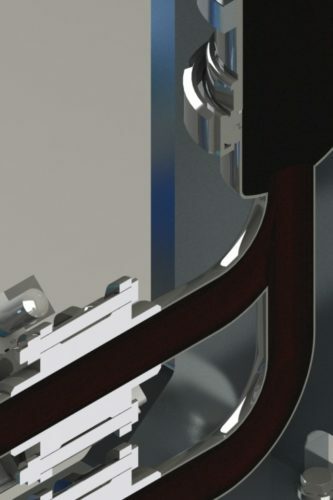 The dosing cylinder is vertical positioned in our improved dosing machine. This achieves 40% space saving in comparison to the last version! This assures you that your working space will be used optimally. We are Van der Schans Machinery, a young, enthusiast and skilled team. We focus on engineering and machinery manufacturing in the food industry. 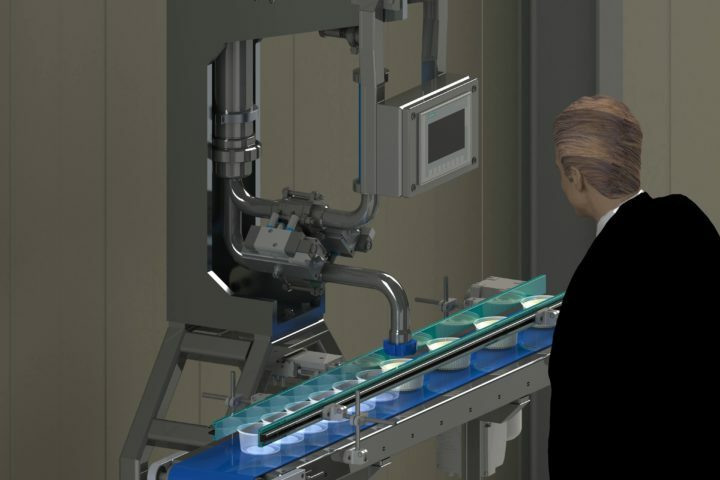 We invent and realize your machinery and production automation in close cooperation with you. Discuss your ideas or wishes and we will realize them for you!